with softboots and large shoe sizes. Is the backcountry your home?Then you have to surf the powder once in your life on a real Swallowtail Powdergun.The Secret Spot is a classic large Swallowtail Powdergun. 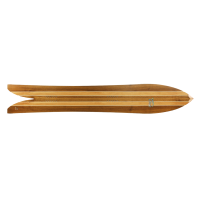 The 43cm long smooth nose rocker floats this powderboard even with minimal speed. And at really high speed the Secret Spot offers unreal stability. Just like in surfing, you stand centered on the board, without getting cramps in your rear foot from having to lean back. Turning works with minimal effort. Through less steep sections you float like nothing and because of the genius rocker and sidecut you can traverse higher than everyone else, offering you way more possibilities to play with the terrain. Spring snow, heavy snow or perfect powder – the Secret Spot goes through like a knife through butter. 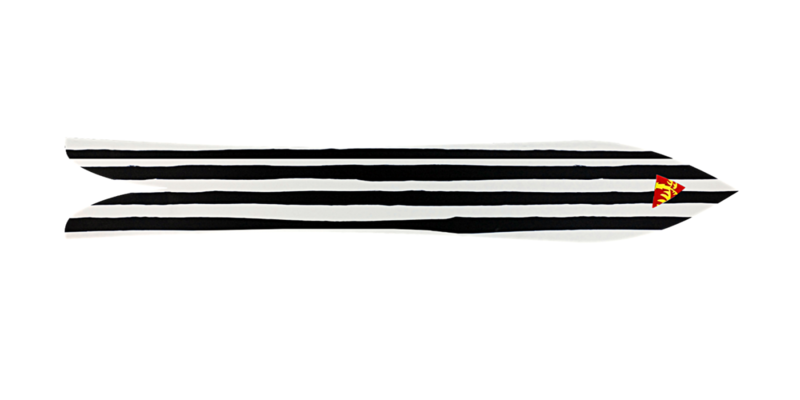 The Swallowtail sinks in when you push on your rear leg, another way to control your speed or tighten the turn. The board turns much easier than the length would make you assume. 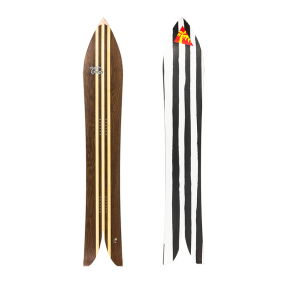 It rides more like a 20cm shorter normal freeride board. 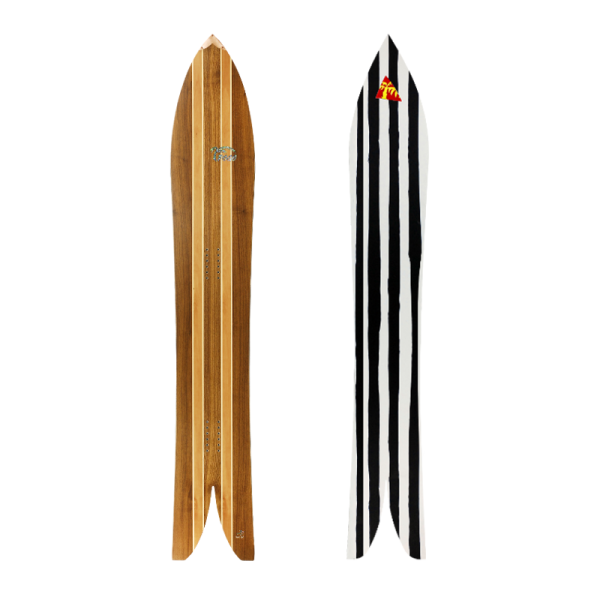 The Secret Spot even carves well on piste and offers perfect control in steep, icy passages. 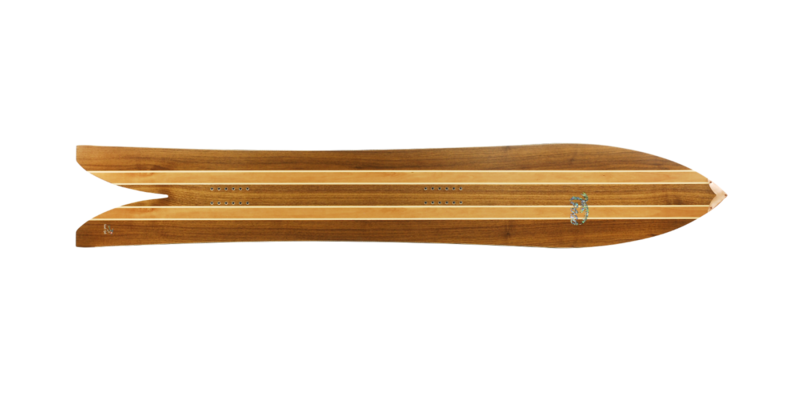 With the superior mix of the material this snowboard has a proven long life. Ingredients include a dampening 3 layer rubber frame, poplar-ash wood core with ABS sidewalls, Titanal reinforcements, custom extra-strong fiber glass and a double sintered 1,2mm P-tex 4000 base. As with all Pogo boards we offer our long life repair service. 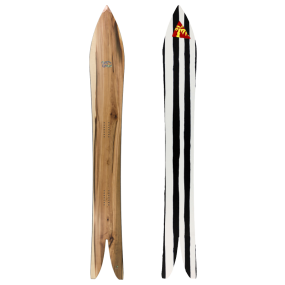 The topsheet of the Secret Spot is real european walnut veneer with a maple stringer. 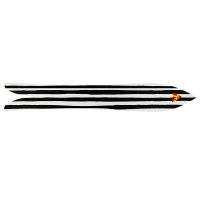 The Pogo logo and a little swallow as tribute to the swallowtail serie are real mother of pearl inlays. 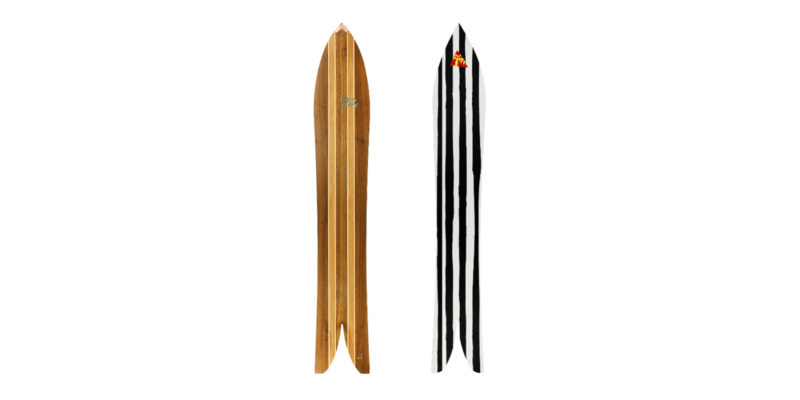 This creates the classic oldschool surfboard look. The pointed tip is protected by a hand forged copper guard.